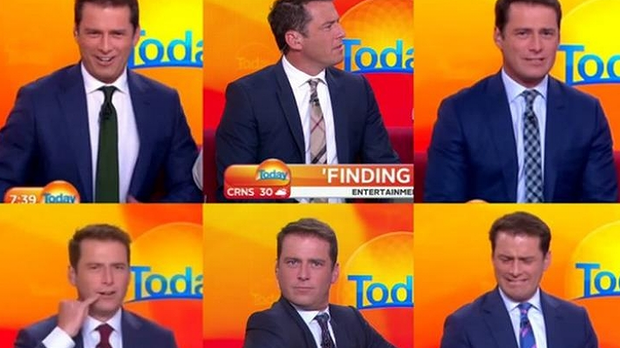 Today Show host and self-confessed anti-dry cleaner, Karl Stefanovic has revealed that he is outraged that the TV Week Gold Logie, awarded to Australian TV’s most popular ‘personality’ is gold in colour rather than white. The one-time Gold Logie winner Stefanovic told The (un)Australian: “The Gold Logie doesn’t clearly represent the state of Australian television, I mean turn on the TV and what do you see? There’s no gold people on Home and Away or The Block, so I think it’s time that TV week did the right thing and whitewashed the awards to truly reflect Australian TV. When reached for comment, a spokesperson for TV Week asked us to fill in a form and mail it back to them. The TV Week Logie awards will be held in May and televised on the Nine network. It is anticipated that this year’s ceremonies viewership could potentially reach triple figures.